Is horseback riding fun, expensive, difficult, dangerous or hard to do? Here are answers to the top ten most commonly asked questions about horseback riding. Riders head out on trail. Yes, horseback riding can be a lot of fun. Many people will be introduced to horseback riding on a holiday while riding a quiet trail horse. While this is a lot of fun, you're not much more than a passenger. Becoming a good rider, while fun, is also a lot of work. 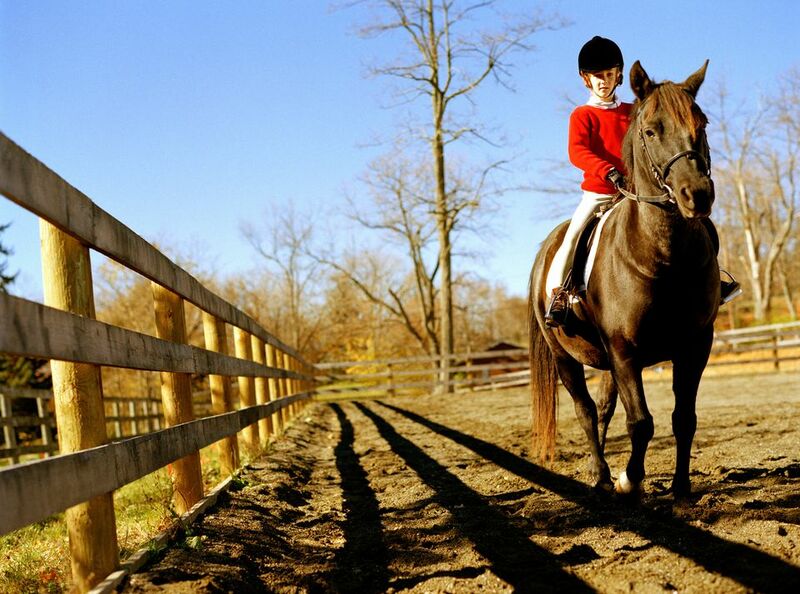 Once you've mastered the basic skills to horseback riding, you have many opportunities. You may decide to barrel race, or field hunt, show equitation or do distance riding. There is a world of possibilities. You also meet wonderful people, along with horses. Many people love horses so much, they make them their life's work, whether as a veterinarian, trainer, coach, dealer, or professional rider. There are many different careers in the horse industry. But, the reason most people ride is that it is fun. One could spend a lifetime perfecting riding skills and still not attain perfection. So, while just sitting on a horse may appear easy, learning to ride well is just as difficult as learning to do any other sport well. Topendsports.com lists horseback riding as the 54th most demanding sport, based on ten components of athleticism. Horseback riding is exercise. It burns calories, builds muscles, requires strength, balance and body awareness. It can be an aerobic exercise and requires flexibility. Even at a walk, horseback riding is good exercise, which is why therapeutic riding is good for folks who are wheelchair bound. Horseback riding builds confidence, reasoning, memory, and analytical skills for a mental workout too. Horseback riders can actually become better riders by doing strength and flexibility training off of the horse as well. If the definition of a sport according to dictionary.com, is an athletic activity requiring skill or physical prowess and often of a competitive nature, and governed by a set of rules and customs than horseback riding can be a sport. There is recreational riding and competitive riding, just like swimming, sailing, golfing, skiing, bicycling or many other activities have their recreational and competitive participants. Horse sports have been contested for thousands of years and are still a part of the modern-day Olympics. Horseback riding can be pricey, but not out of reach. 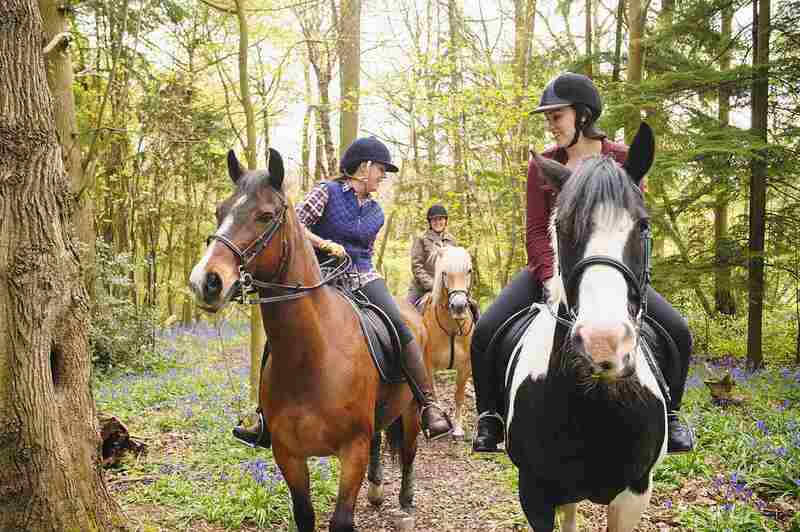 There are many ways to enjoy riding without owning a horse. Taking lessons, riding on dude strings, leasing or part-boarding can get you in the saddle without the expense of actually owning a horse. Of course, if you want to be highly competitive, the costs rise, as a more expensive horse is needed, along with a truck, trailer, and all the gear. Many competitive riders have sponsors who help offset the expenses. Is Horseback Riding Bad for Your Body? Riders of all levels can fall--not good for your body. Falling off a horse is bad for your body. Riding a horse is only bad for your body if you already health issues that are exacerbated by the activity. If you have things like back or knee problems, it's probably best to consult with a doctor or physiotherapist (most of whom will know little about horseback riding) and consider their advice. A study conducted in 1996 cited that rotator cuff, knee, hip, and lower back problems were most common in riders. Some sources say the horseback riding is one of the top ten most dangerous activities. It is more hazardous than motorcycle riding and you are more likely to sustain a head injury horseback riding than in any other sport. Learning to ride well and wearing safety equipment like a helmet and riding boots can go along way to keeping you safe as your ride. Is Horseback Riding Hard to Learn? Horseback riding is like many other sports, in that there are many skills to be learned. There are basic skills that you must learn to be safe and in control of the horse. Once you've mastered those basics, however, there are advanced riding skills that allow you to control the horse to finer degrees, and actually, make it easier for your horse to carry you. Is it Hard to Start Horseback Riding Again After a Long Absence? Many people ride when they are young, but leave the sport while going to school or starting a family. If you've come back to riding after a long absence, it might take a while to get your body and mind used to handling and riding horses again. The older you are and longer the absence, the longer it may take. Is Horseback Riding Harder than Other Sports? Horseback riding can be a riskier sport than others. And, there's an incorrect perception that you're just sitting and letting the horse do all of the work. Few non-riders understand the whole-body and mental effort required to ride really well, to keep the horse balanced and in control. Not only do you have to have control of your own body, but that of the horse's too. Good riders take years to develop.